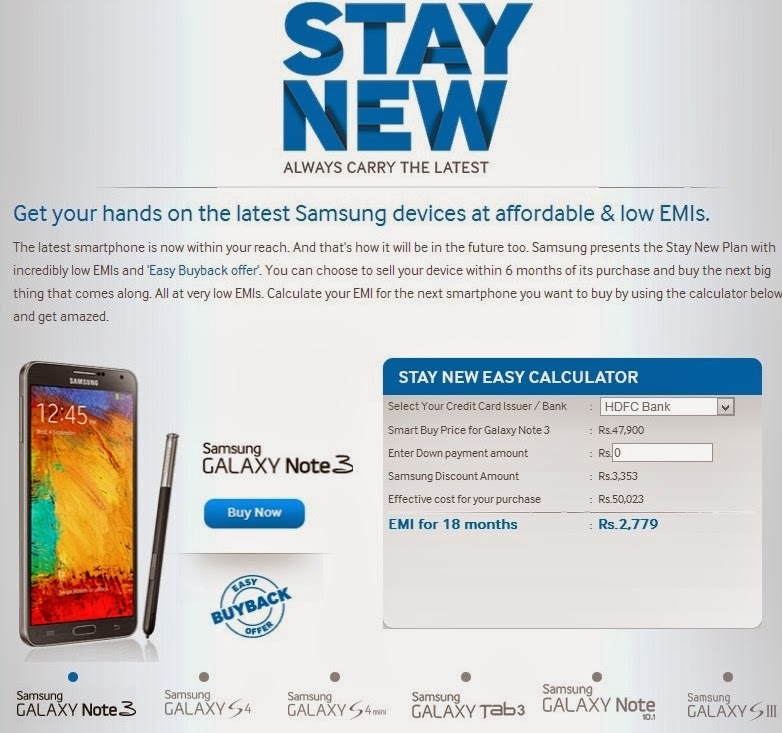 Samsung has come up with a new scheme called ‘Stay New’ in India, which offers consumers affordable ways to buy new Samsung phones and tablets and to upgrade from their older devices. Just after 3 months of buying. The idea is powered after the major success of ‘Buyback’ plans on smartphones implemented by manufacturers like Samsung and Apple to increase adoption of their devices considerably. Under the plan, consumers will be able to buy new Samsung devices at low monthly installments through credit cards of various banks (HDFC, ICICI, Citi, and Standard Chartered). For those wishing to upgrade to a new device, Samsung will allow them to sell their current device within three to six months of its purchase, after deducting the price of the latter. For a company that refreshes its device lineup every month, the ‘Stay New’ plan is a nice offering that should help Samsung further improve its position in India, which is the world’s third-largest smartphone market. Just one bad news after all these. The ‘Stay New’ Plan is applicable on Galaxy Note 3, Galaxy S4, Galaxy S4 Mini, Galaxy Tab 3 311, Galaxy Note 10.1 and Galaxy SIII only. Click on the source link to see the Samsung India page for further details.